The Morecambe Bay Toolkit has been developed to help visitors discover the special character of Morecambe Bay. It provides businesses around the Bay with a greater understanding of the different elements that make up this special character, from its spectacular landscape and views, its geology, rich nature, deep heritage and varied traditions. The toolkit helps to celebrate the area’s uniqueness and provide information to develop visitors’ perceptions of Morecambe Bay as a destination. 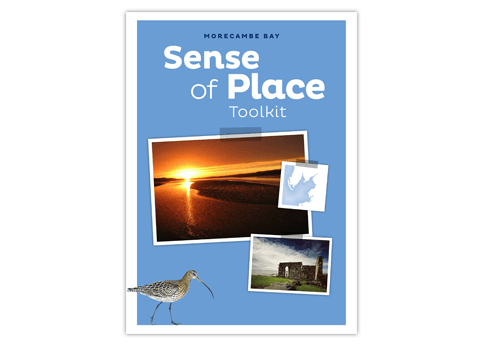 We created the Morecambe Bay Sense of Place Toolkit and Day Out Itineraries for ten locations. The design uses a scrapbook style approach and complements the existing Morecambe Bay branding. Mapping is an important element and we illustrated maps for various key areas.